BRINK Institute’s Celia Black brings together "Sophia,’ Hanson Robotics' state-of-the-art, most humanlike, female robot along with David Hanson, visionary inventor and founder of Hanson Robotics; Jim Karkanias, Microsoft Partner and head of Applied Research and Technology; and Eric Shuss, Founder of Cogbotics, manufacturer of cloud based intelligent robots for home entertainment, for an interactive conversation on the reality of advanced robotics, machine learning and cognitive sciences. 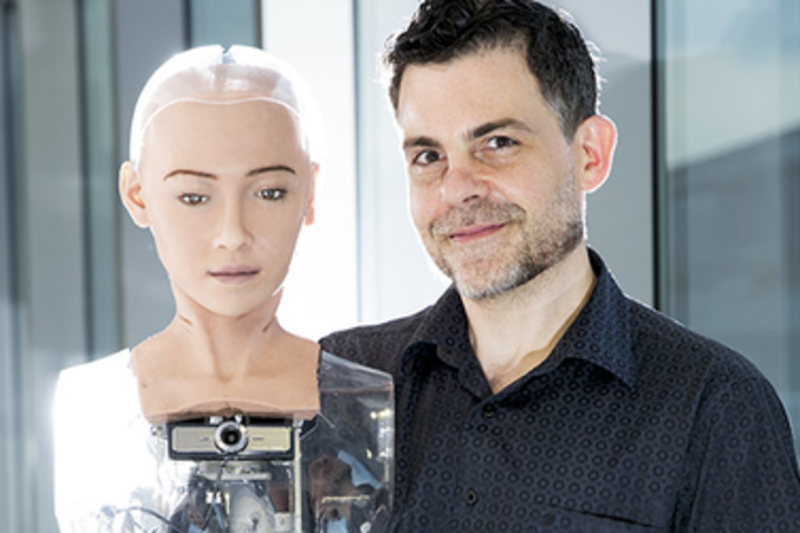 Come and interact with Sophia as "She" spontaneously tracks human faces, listens to speech and generates a natural language response while participating in dialogue about the potential of genius machines. Dr. Ben Goertzel is Chief Scientist of robotics firm Hanson Robotics and financial prediction firm Aidyia Holdings; Chairman of AI software company Novamente LLC and bioinformatics company Biomind LLC; Chairman of the Artificial General Intelligence Society and the OpenCog Foundation; Vice Chairman of futurist nonprofit Humanity+; Scientific Advisor of biopharma firm Genescient Corp.; Advisor to the Singularity University and Singularity Institute; Research Professor in the Fujian Key Lab for Brain-Like Intelligent Systems at Xiamen University, China; and general Chair of the Artificial General Intelligence conference series. His research work encompasses artificial general intelligence, natural language processing, cognitive science, data mining, machine learning, computational finance, bioinformatics, virtual worlds and gaming and other areas. He has published a dozen scientific books, 100+ technical papers, and numerous journalistic articles. Before entering the software industry he served as a university faculty in several departments of mathematics, computer science and cognitive science, in the US, Australia and New Zealand. He has three children and too many pets, and in his spare time enjoys creating avant-garde fiction and music, and exploring the outdoors.